Derek Turner, greenkeeper at Liskeard Bowling Club in Cornwall, wanted to purchase a top quality cylinder mower that could manage the demands of a green that hosts 200 plus games per season. 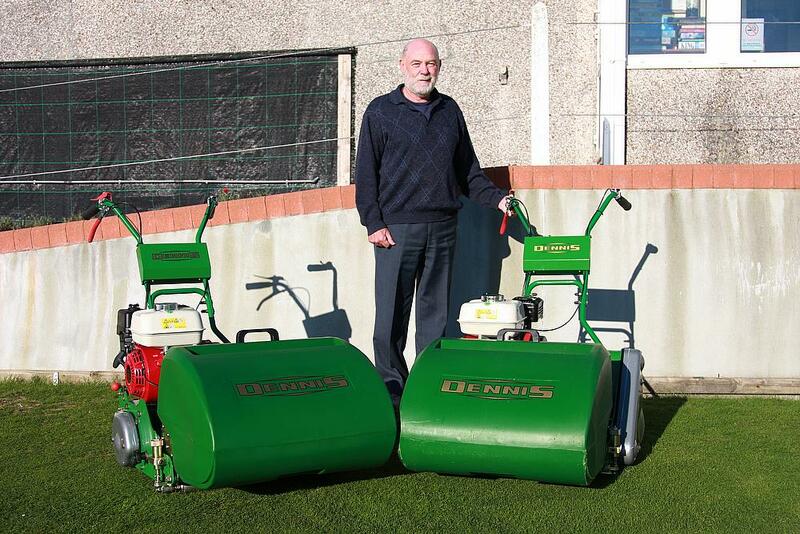 He put the question to fellow greenkeepers in the industry and there was only one answer – the Dennis FT510. Derek is not only the greenkeeper of Liskeard Bowling Club but he is also the club’s president. Having been a member for thirty years and part of the committee for twenty; it seems fitting that Derek held the presidency during the club’s centenary year of 2014. This is a man who cares deeply about his bowling club and particularly its centrepiece – the green. With numerous league games from the club’s four teams, Liskeard also hosts club friendlies, county competitions and open days. According to Derek, the green “took one hell of a hammering” with so many games, and he needed a machine that could maintain excellent playing conditions throughout an extremely busy season. After attending a local bowling seminar held by Dennis and SISIS, Derek found exactly what he was looking for. “The Dennis FT510 was being demonstrated at the seminar and I was very impressed so I asked for a demonstration at our own club and liked what I saw. “I also visited other clubs and spoke to other greenkeepers. It was apparent that practically all of them used the FT510. It was simply the best and most sensible option; so we bought two of them,” he said. The Dennis FT510 has become the ‘must have’ piece of turf maintenance machinery at bowling clubs around the country and it’s easy to see why. With a 51cm working width, the FT510 provides its user with comfort, flexibility and excellent performance. A true sense of control is obtained through the unique roller clutch drive for a smooth take-up and a variable clip rate helping to create the desired finish. Available with five-bladed and ten-bladed cutting cylinders the machine can be matched to any situation and the interchangeable cassettes can be changed without the requirement of any tools. The range of 11 different heads mean that one machine can be used for several key maintenance tasks including scarifying, verticutting or brushing. This feature combined with click height of cut adjustment system is which Derek particularly enjoys about working with the FT510. “Certainly the big decision as to why I bought the Dennis FT510 is because it is so simple to adjust the height of the cut. The one we used before had nuts and bolts you had to undo and it just makes the job that much longer. “I really like the interchangeable cassette system too because it allows you to do different jobs in relatively quick time,” he said. Derek purchased the Dennis FT510 from Devon Garden Machinery and was also quick to praise the dealer.